How does this show work? Who should attend this show? Is there a fee for distributors to attend? Monday, February 25 | MINNEAPOLIS AIRPORT MARRIOTT - NEW LOCATION! Show Hours: 9:00 - 3:30 | This is a scheduled rotating room show. Distributors are asked to arrive in time to check in and get into the first session at 9 am. Later check-ins are OK, if needed, and we will help you find your first scheduled session at that time. Take everything you learn during this popular one-day event and turn it into a profitable week of sales calls and new orders. "The room show was great. Loved every session, learned new ideas and saw new products." "It is my favorite event of the year"
"Thanks for hosting this show . . . I look forward every year to attending this event!" 9:00 - First session begins - each session is 25 minutes with a 5 minute break to get to the next session. 12:35 - 1:20 | Plated Lunch and Awards Presentation in the Ballroom (free to all attendees). All members are invited to attend this luncheon and presentation. Cost is $35 if not registered for the room show. EMAIL the UMAPP office to register. 3:30 - 4:00 | Reception - hotel ballroom. Raffle prizes and appetizers. Every year, UMAPP hosts its annual meeting of members during the plated lunch held for room show attendees. This includes a short update by UMAPP's current president, as well as the Association's annual awards presentations. Please join us for lunch to honor those recipients. If you are registered to attend the room show as an exhibitor or a distributor attendee, then your lunch is included with your registration. Any other member not attending the show is welcome to sign up for the lunch alone ($35). EMAIL the UMAPP office to register. This is a different type of show. It is a "Room Show," meaning that distributor attendees rotate in groups from exhibitor to exhibitor for a 25-minute presentation. There's a set schedule that we encourge our groups to adhere to, but we understand if situtations arise where it's not possible. This is a distributor-only show (no end buyers, please). 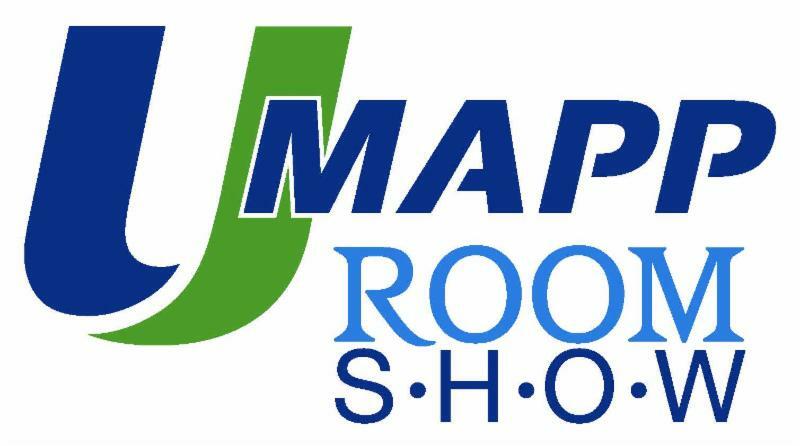 Distributor show fee includes: morning beverages and snacks, plated lunch, 11 exhibitor presentations that provide in-depth education, free show bags, free notebook/pens, samples, and the After Party - drawing for door prizes. Not to mention the mountains of information obtained by attending these presentations. Those that attend tell us it was the best decision they've made in a long time; those that don't attend tell us they wish they had. Distributor sales reps should attend and expect to receive in-depth education from the exhibiting suppliers about their products, processes, and WHO to sell their products to, and how. Nonmembers may attend this show as long as they qualify. Specific invitation from an exhibitor as one of their valued distributor customers. End buyers are not allowed. This is a distributor-only show. Yes, there is. The cost is $25 for distributor members and $35 for nonmembers. This includes breakfast, morning beverages, 11 in-depth supplier education sessions, plated lunch, samples, and the "Prize Party" (beverages, appetizers, and drawings for prizes). We will have a block of rooms at the Marriott - CLICK HERE for online reservations. $128 per night | deadline to register is February 18, 2019. CLICK HERE for the latest exhibitor information email which will provide all the details you need. Hotel Reservations: CLICK HERE for the reservation link - deadline is February 18. $128 per night. Sunday, February 24 | Set up begins at 6:00 pm (this time could change and be earlier in the afternoon). More details will follow, but your meeting room (to be assigned) will be open and available for set up beginning at 6 pm. 8:15 | Distributor check-in starts. A hot buffet breakfast will be in the lobby area. 8:30 am | Required exhibitor meeting with show chair, Bob Engh. Meeting room will be announced. 9:00 am | First session for the show starts. Need a different format? EMAIL the UMAPP office.